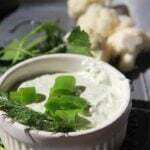 Creamy Green Herb Dip is cream cheese and sour cream-based, with lots of fresh herbs and garlic. And the best thing is that it’s all thrown in the food processor so it’s QUICK and EASY! Spring is finally here and I’m so glad! 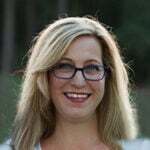 I love feeling the warm sunshine and seeing the green buds everywhere, daffodils and forsythia blooming and grass starting to turn green. And the birds flitting about…we have a little bird, a wren I believe, who builds a nest on our front porch every year. Along with the advent of spring comes outdoor parties, bridal showers, picnics—basically any reason to get outside and celebrate something! 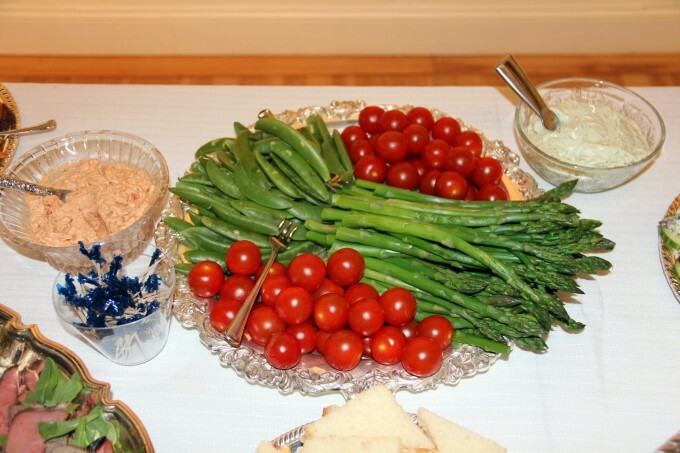 If you’re called upon to bring a dish to an event, this dip is perfect for any gathering, be it spring, summer, fall or winter. It’s great for any occasion. 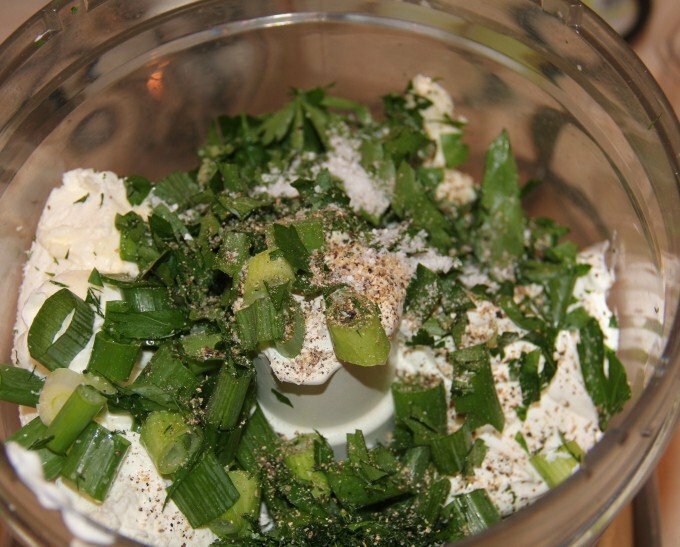 I’ve adapted this recipe from Ina Garten’s Green Herb Dip, which can be found in Barefoot Contessa at Home. I’ve mentioned before how I love this cookbook and I use it all the time. I highly recommend it as an addition to your cookbook library, or a gift for a friend. 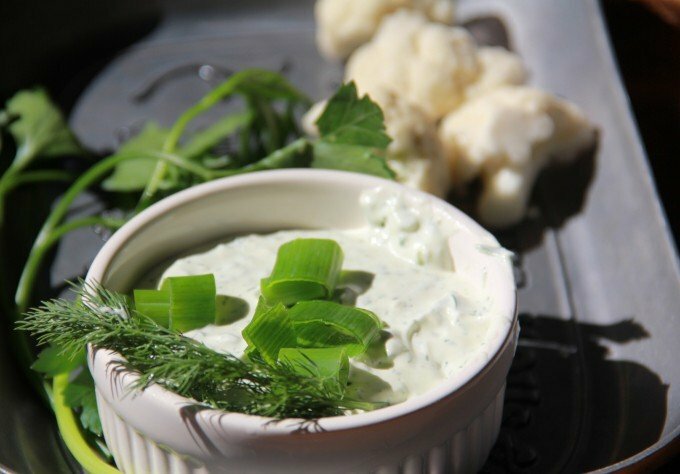 For the creamy herb dip, you’ll need cream cheese, mayonnaise, sour cream, scallions, parsley, dill, fresh lemon zest and juice, tarragon and garlic. And the great thing is, you just rough chop everything and dump it all in the food processor. The dip tastes best if you make it a day ahead of time and let it rest in the fridge, but you can certainly serve it as soon as you make it, which I’ve done many times. We use it as a dip with vegetables or smoked salmon, shrimp or crackers. A creamy, tangy dip that's filled with fresh spring flavors such as dill and tarragon. Easy to make and wonderful to eat. Place everything in the bowl of food processor and pulse a few times until well blended but not pureed.